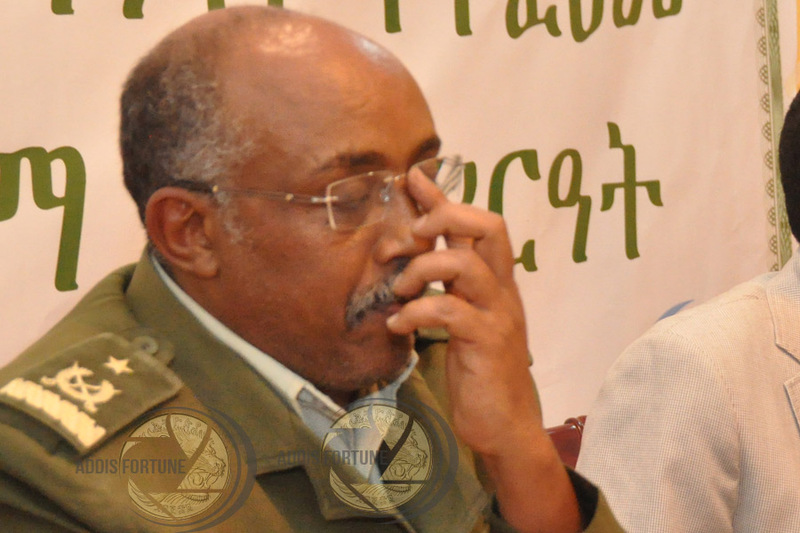 Federal Prosecutors Charge Former CEO Kinfe Dagnew Et Al Federal Prosecutors Charge Former CEO Kinfe Dagnew Et Al – (Addis) Fortune – The Largest English Weekly in Ethiopia! Kinfe Dagnew (Maj. Gen), former head of the Metals & Engineering Corporation (MetEC). Federal prosectors charged eight defendants, including Kinfe Dagnew (Maj. Gen), former head of the Metals & Engineering Corporation (MetEC), of alleged corruption on Thursday. Judges at the 15th Criminal Bench of the Federal High Court read seven counts of corruption charges, all of which were concerning the procurement of tractors. The other defendants included former Deputy CEO of MetEC Tena Kurunde (Ber. Gen), as well as Remedan Musa, Dessie Zeleke (Col.) and Chernet Dana. Kinfe was arrested on November 14, 2018, and denied the right to bail. He was the most high profile suspect of the 28 that were arrested on allegations of grand corruption while managing MetEC. The judges adjourned the case to January 25, 2019, in order to receive the defendants' statements of defence.